BOONE, Iowa – IMCA drivers and fans are asked to Nominate A Warrior as an honorary starter for each of the three last-chance Modified features on Saturday, Sept. 9 at the IMCA Speedway Motors Super Nationals fueled by Casey’s. Current or former service members are eligible; letters or emails of nomination should be 500 words or less and tell about the nominee and their service to our country. Nominations should be directed to Marketing Director Kevin Yoder at the IMCA home office or kyoder@imca.com. All three honorary starters will be recognized that afternoon when officials from Casey’s General Store and IMCA present a check to Hope For The Warriors. Mother Nature won! 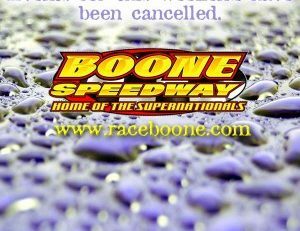 Racing is cancelled for Saturday, May 4.